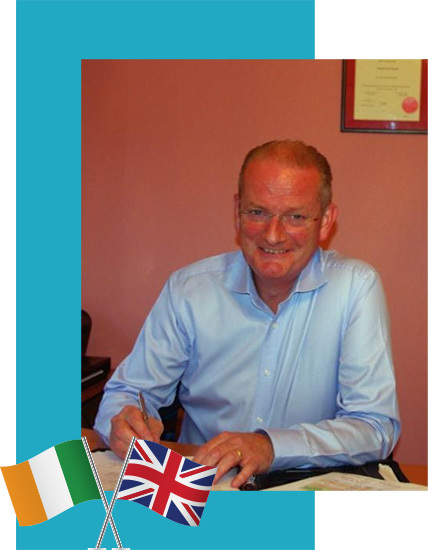 Frank Buckley is a graduate of both NUI Galway and Dublin and is a chartered accountant of close to 30 years. He has worked in finance positions in manufacturing, distribution and financial services over that time. In one of his roles, he spent 5 years in financial management in the manufacturing sector in Scotland. More recently he was employed for 13 years in a senior finance role with a large Irish semi-state organisation and spent 9 years as a trustee of one of the company pension schemes with assets of c.€200m. He was astounded by the exceptional value to be gained in maximising his UK state pension entitlements, the relatively modest cost in securing those benefits and a stark lack of knowledge of other similarly returned Irish nationals. Then there’s Brexit!!.... Who knows what the final outcome will be but early indications are that non-nationals’ rights are far from the top of the UK’s priorities. If anything, the mood-music from Whitehall suggests a strong political will to restrict “foreigners” maintaining residency and other rights. Between now and the actual Brexit (March 2019) there could well be changes implemented in the UK that are prejudicial to non-nationals. That is why it is so important to ACT NOW!! I worked in Scotland in the early-mid 90s, came home and thought no more about it until I accidentally came across USP Financial looking for something else. I had no idea that a UK state pension was even possible given I had only spent 4 years there. True, I had to spend a few £££s but the value I received when it was explained to me was immense. I am really happy that I’ve done this. Great, click below and fill out the enquiry form. Or if you still have questions feel free to contact us.